Roxine is the matriarch of the family business. 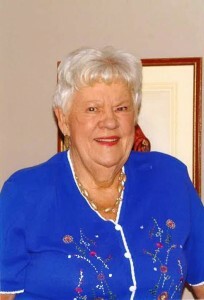 She and Clarence Koenig founded Koenig Scale in 1959. Throughout the community, she is known for her volunteer services to multiple local charitable organizations. She is active in the Service Corps of Retired Executives (SCORE) and takes pride in mentoring others in starting or improving small businesses. Roxine’s responsibilities include: CEO of Koenig Scale and serves as the community liaison. Kurt is the second generation member of the Koenig Scale family. Being a family business, he has been working with scales all his life formally starting his career in 1979 as a service technician and assuming responsibility for sales and operations duties in January 1985. With his extensive experience, he is able to assist customers in selecting the proper equipment for any weighing application, analyze industrial processes and recommend improvements to weighing accuracy or process efficiency. He can also review and discuss scale service and calibration requirements plus assist in ISO quality issues including implementation and maintenance of a scale calibration process. His goal is to help all Koenig Scale customers maximize profitability with efficient and accurate scale equipment. His qualifications include an Honorable Discharge from the United States Marine Corps, a degree in Industrial Control Technology from Indiana State University, Certified Mettler Toledo Industrial Master Technician, 25 Year Member of the International Society of Weights and Measures (ISWM) and is a Registered Scale Technician in the State of Illinois. Kurt’s responsibilities include: ISO/IEC17025:2005 Management Representative and Quality Manager, Equipment Sales, oversight of company operations, and most importantly ensuring complete customer satisfaction with Koenig Scale. Kevin is a third generation member of the Koenig Family to be in the scale business. Being a family business, he too has been working with scales all his life, formally starting his career part-time in 2001 while attending high school then as a full-time service technician in 2004. In 2011 he assumed the duties of Service Manager. Kevin attended Indiana State University and Ivy Tech Community College, participates in ongoing technical training provided by Mettler Toledo and is a Registered Scale Technician in the State of Illinois. His goal is to provide excellent customer service and complete customer satisfaction with all aspects of Koenig’s service offering. Kevin was instrumental in the development and implementation of the SmarterCerts paperless electronic scale calibration certificate system. Kevin’s responsibilities include: Overall operation of the Service Department including scheduling of service technicians for regular service inspections, calibrations, and new equipment installations and most importantly ensuring complete customer satisfaction with Koenig Scale. 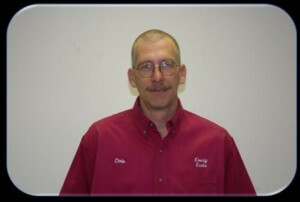 Chris started his career as a service technician with Koenig Scale in 1990 and was promoted to Senior Technician in 2005. As the Senior Technician, he provides valuable assistance to our customers in addition to helping his fellow technicians and service manager. His qualifications include over 20 years of field experience with Koenig Scale, a degree in electronic engineering is a Registered Scale Technician in the State of Illinois and is a Mettler Toledo Master Technician in both Industrial and Heavy Capacity disciplines. Chris was instrumental in the development and concept of the SmarterCerts paperless electronic scale calibration certificate system. With an engineering background and a love for electronics, Chris is in his element at Koenig Scale. His favorite aspect of working for Koenig Scale is the variety of projects that we have done and using new technology for future projects that we can provide to enhance customer accuracy and process efficiencies. Chris’s responsibilities include: ISO/IEC17025:2005 Technical Manager, Senior Service Technician, providing field service including troubleshooting and repair of complex systems, regular service inspections (Preventative Maintenance), calibrations, and new equipment installations and most importantly ensuring complete customer satisfaction with Koenig Scale. Jeff started his career with Koenig Scale in 2005. His qualifications include over 25 years of industrial maintenance experience with a multitude of experience in both mechanical and electrical disciplines. He attended Ivy Tech Community College and has completed various technical training programs provided by Mettler Toledo. He is a Registered Scale Technician in the State of Illinois. Jeff takes great pride in a job well done, according to Jeff it is either “right” or “wrong”, there is no “Gray Area”. He is not satisfied until it is “Right”. Jeff’s responsibilities include: Providing field service including troubleshooting and repair, regular service inspections (Preventative Maintenance), calibrations, and new equipment installation and most importantly ensuring complete customer satisfaction with Koenig Scale. Jim started his career with Koenig Scale in 2012. Prior to starting with Koenig Scale he was employed as a maintenance technician at a local manufacturing facility. He is a certified electrician as well as a certified heavy equipment operator. He is a class A CDL driver with several endorsements. 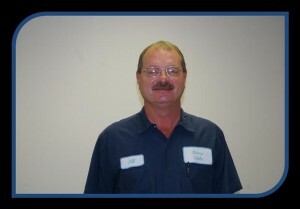 Jim has been a lead maintenance technician working with electrical and mechanical components. Jim is experienced in pneumatics and is certified in CPR and is first response certified. He is also OSHA 10 Certified. Jim is active in the community serving as an officer at the Eagles Club and as an officer for the Terre Haute South Little League. Jim’s responsibilities include: Providing field service including troubleshooting and repair, regular service inspections (Preventative Maintenance), calibrations, and new equipment installation and most importantly ensuring complete customer satisfaction with Koenig Scale. Sam is also a third-generation member of the Koenig Scale family. She started with the company in April 2012. Prior to joining Koenig Scale, she was employed by a multi-national insurance and investment company in Hawaii while attending college. Her previous job duties included reception, recruiting new agents, cold calling and direct marketing efforts to potential clients and general office administration. During her tenure, she developed customized databases to efficiently record and recall marketing efforts for both potential clients and potential agents. Samantha graduated Phi Theta Kappa with highest honors from Heald College in Honolulu with an AAS degree in Medical Office Administration. She says working in the family business can be challenging some days but the rewards outweigh the challenges. Samantha’s responsibilities include: Marketing Koenig Scale to potential customers in addition to interfacing with existing Koenig Scale customers to obtain feedback regarding the quality of the goods and services provided. She is also responsible for all Social Media and Internet exposure for Koenig Scale and most importantly ensuring complete customer satisfaction with Koenig Scale.